We're sure gonna miss you Solo..
As the end of principal photography gets closer on The Man From U.N.C.L.E. set, today we got an update from two actors who got to work with Henry on the film. Rob Jones was at the Warner Bros. studios outside of London. We look forward to seeing Rob's scene with Henry. In the meantime, check out his profile on Facebook (thanks MA_StreetTeam). My most favorite girl. Love and adore you, EDebicki. As with any film about to wrap, goodbyes on set become a daily routine as actors shoot their last scenes. Today was Daniel Hillary's day to say farewell to the cast and crew. So after about 4 months of filming that's a wrap for @daniel_hillary (meeee) on man from uncle. Loved every second of it. 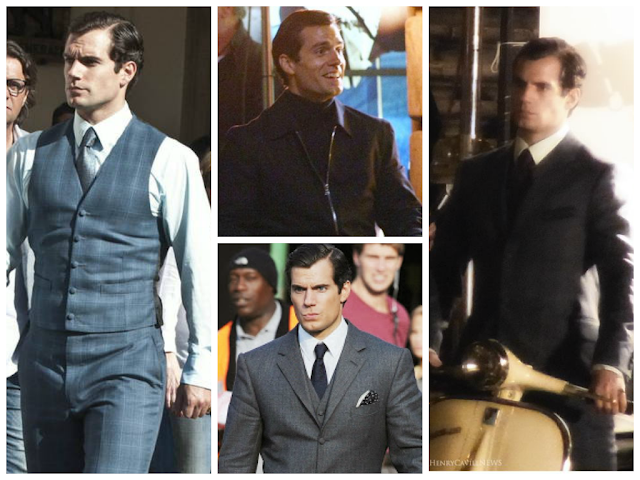 And then there are the gorgeous sunsets..
As we wait to hear news on a 2014 release date for The Man from U.N.C.L.E., we've put together a link to our extensive coverage starting with the announcement that Henry was taking part in the film. Catch up on anything you might have missed or just relive those awesome set moments captured on camera. We'll be bringing you updates as promotion begins, leading up to the film's release. Go Henry Cavill!